Limestone column from Roman period engraved with Hebrew inscriptions discovered in Peqi'in during restoration work on ancient synagogue. An 1,800 year old limestone capital dating to the Roman period that is engraved with two Hebrew inscriptions was discovered during the course of restoration and conservation work being carried out in the ancient synagogue and neighboring Beit Zinati visitor center at Peqiʽin, in the Western Galilee. Pequ'in is not only a quaint village in the beautiful hills of the Galilee, it is a village that has an unbroken record of Jewish residence for over two thousand years. The work is being conducted by the Council for Conservation of Heritage Sites in Israel as part of a heritage project by the Ministry of Jerusalem Affairs and Heritage. The stone was found upside down in the building’s courtyard, and upon discovery of the inscriptions archaeologists of the Israel Antiquities Authority arrived at the site in order to examine the special find. A preliminary analysis of the engraving suggests that these are dedicatory inscriptions honoring donors to the synagogue. According to Yoav Lerer, the IAA inspector in the Western Galilee, “The Talmudic and Midrashic sources tell of the Galilean sages that lived in Peqiʽin, including Rabbi Shimon Bar Yochai, who hid from the Romans in a cave. However, there are those who disagree with the identification of the location of Peqiʽin. I believe that these inscriptions will add an important tier to our knowledge about the Jewish settlement in the village of Peqiʽin during the Roman and Byzantine periods”. In the past year, rehabilitation and conservation work was carried out in Peqiʽin’s ancient synagogue and nearby Beit Zinati in order to upgrade the visitor center located there. The visitor center will tell the unbroken two thousand year long history of the Jews in the village, and the unique story of the Zinati family – the village’s oldest Jewish family. 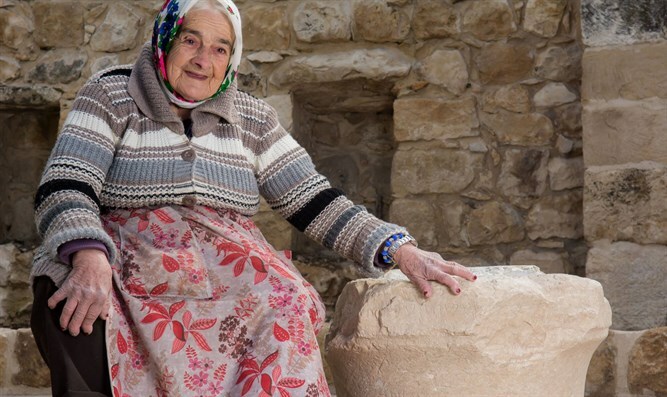 Margalit Zinati, the last member of the Jewish Zinati family to "keep the flame alive", still resides in the house next door to the synagogue, as she has for decades. Ze’ev Elkin, the Minister of Jerusalem Affairs and Heritage, said "Peqiʽin is one of the most significant sites in the Galilee, and is a place where there has always been a Jewish presence. It is a great honor for me that during my tenure in office such an important discovery has been made that tells this 2,000 year old story of the Land of Israel”.